Retrieving or being stuffed like a Perigord goose: which dog is happier? Overweight gundogs are slow and plodding when, at four or five years old, they should be in their prime. If this is the case for your retriever then it could be time to introduce some new feeding and exercise rules. Janet Menzies shares her advice. Overweight gundogs are unlikely to be cooperative with their new health kick, so enforcing the rules will take some authority. Read be pack leader in your own home for Janet Menzies’ tips on how to always be top dog. Once a gun dog has completed his training and has a season’s shooting under his belt, it’s easy to fall into the situation where his performance stops improving and may even gradually decline. Often, by the time he is four or five – just when he should be in his prime – the dog is nothing like as sharp and enjoyable to work or watch as he was in his first season. 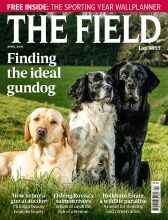 Spaniels often get a bit too fizzy, but the problem with retrievers is much more likely to go the other way, as the dog becomes rather a plodder. Spaniel handlers have a mean joke which goes: What’s yellow, overweight, likes doughnuts and doesn’t do much? Answer: not Homer Simpson, but a labrador retriever. For a great many lab owners the most important resolution they can make on their dog’s behalf is for him to lose weight and get fitter. There’s a common misconception that labrador retrievers are meant to be bulky and thick of beam, the sort of shape that makes a useful mobile coffee-table. In fact, though strong and large, a labrador should also be athletic and capable of moving fast. Even for show labs the breed standard states: General appearance: strongly built, short-coupled, very active; broad in skull; deep and broad through chest and ribs; strong and broad over loins and hindquarters. There is no mention of the dog being stout or fat. But apart from assuming that, being a lab, he’s almost certain to have food issues, how can you tell whether your dog is fat? As a general rule, if your dog is a healthy weight you should be able to feel his ribs but not see them. For a fit working spaniel, you should just about be able to see the most prominent three or four ribs as well as feel them. No matter what the breed, if you can’t even feel the ribs, then your dog is overweight, along with about a quarter of all dogs in the UK. If you are in any doubt, or if your dog is in denial, then pop along to the vet. They all have scales and weight charts and many run weight-control clinics gratis. There’s no need to plunge your dog into the size zero debate, though. As with humans, the real reason to slim is health rather than fashion. Labradors, especially, are prone to hip problems and arthritis in old age and these risks can be reduced substantially if the dog is not allowed to get overweight. Other weight-related health problems include diabetes, heart trouble, respiratory conditions and circulatory difficulties. Some owners have reported behavioural problems in their overweight dogs, possibly due to mood swings caused by rapidly changing blood sugar levels. But one of the first things you will notice as a handler, rather than just a loving pet owner, is that your dog’s performance in the field is hugely affected by his weight. An overweight dog can’t work as long or as quickly as a lean one, and is much more affected by heat. Dogs don’t sweat, so it can be hard for them to dissipate heat, especially if they are carrying an extra layer of fat. Working in the sort of warmer weather we are experiencing early in the season can cause heat exhaustion in the overweight dog. Get your dog down to racing weight and you may find that what you thought was a plodder has become a retrieving rocket. Not only will he go out farther and more readily on retrieves, but he will bring them back much more promptly. Some handlers even find the dog’s scenting ability appears to improve when he is leaner; it may be simply that the dog is finding work easier because he’s not carrying extra weight around. Start your dog’s weight-loss regime with the canine equivalent of a food diary. How often is he fed, and how much? 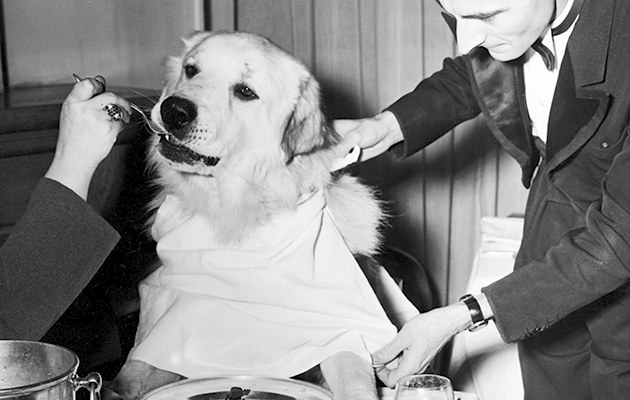 No more fine dining for your canine companion. Modern complete dog foods are well researched, so if you are feeding the recommended quantities his normal meals are unlikely to be the cause of the problem. Now both you and the dog have to be honest. How much is he eating between meals? Does he join in with grog stop – and the inevitable sausage? Are the children always slipping him titbits? Does he have a serious choc-drop problem? And finally, is he a food thief? You may be keen for your dog to lose weight, but getting his cooperation can be difficult. Family and shoot members must all sign the pledge on his behalf. If he is a clever scavenger you may have to exclude him from all food areas around the house – including the bins. Following these measures carefully usually gets results pretty quickly. If nothing much seems to be happening, your vet may recommend a complete food purpose-designed for weight loss. However, catching the calories on their way into your dog is only half the battle. To get him really lean and fit you need to increase the number of calories he uses, and that means stepping up his exercise. Spaniel owners are luckier than retriever owners because their dogs tend to burn off a lot of energy by rushing around pointlessly at every opportunity. Retrievers would rather sit still and assess the situation first, following the maxim that fools (and spaniels) rush in where labradors have a quiet think. So if your lab is a bit of a thinker, you may have to resort to a few forced marches. When the shooting season ends, it is easy to forget that your dog’s hours of exercise through work decrease dramatically overnight. Try to compensate for this. Take him with you on all your outdoor chores, whether shoot-related tasks such as pheasant-feeding and catching-up or just putting the dustbin out. But unless you have a very active life, it is likely you will need to make time to give him formal exercise, rather than just the occasional potter about the fields. And there is even a new sport to help you do this. Cani-cross is rather like husky sled racing, only without the sled. You attach yourself to your dog by a special elasticated harness and then run along behind him, with the idea that he will actually help out up the hills by giving you a bit of a pull. Competitions are held cross-country in fairly muddy and hilly conditions – ideal for working dogs (for details, visit Cani-cross). Any breed can take part, though, so far, purpose-bred huskies are doing best.  Spaniels tend to quarter too much for them to be easy to run behind – one competitor reported that she had spent most of her race running through hedges! If cani-cross sounds too exciting, make an effort to rev up your dog’s walks. Just trotting along at heel isn’t demanding enough to increase his fitness or calorie use. Take a tennis ball with you and throw or roll your dog some interesting retrieves, especially ones he has to hunt for. This will increase the amount of work he has to do, even though you are walking as normal. If your dog is very overweight, step up his work gradually and keep a close eye on him in case he shows signs of heat exhaustion. Overall, the best way of increasing your dog’s exercise safely is to make it more interesting for both of you. Try exploring a new area or going for a walk on the beach or round a lake or pond where you can include swimming in the workout. Later in the year, don’t overlook the importance of dogging-in as a means of fittening. With wheat prices as they are, relying less on holding by feeding and more by dogging-in is a win on all fronts. In fact, there are few downsides to putting your dog on a health and fitness regime – especially if it rubs off on you! Sticking to these slimming resolutions will work wonders for your dog’s performance in the field as well as improving his overall health. And if the rest of the family joins in, that can’t be bad! No more sausages at grog stop. No more begging for treats at the dinner-table. I will not steal rashers of bacon from the children’s plates at breakfast. I will only eat the correct amount of food each mealtime. No more eating between meals. All choc-drops, Bonios, biccies or any other snacks are forbidden. I will do two 15- or 20-minute walks every day. I will take up a new exercise or sport to get me out and about when the shooting season is over. When I can walk somewhere, I will not hop into the passenger footwell. I will do more waling during the shoot, rather than accepting lifts all the time. I will become more active on my walks.